General Motors and Honda are to establish a joint venture to mass produce advanced hydrogen fuel cell systems in the US from 2020. 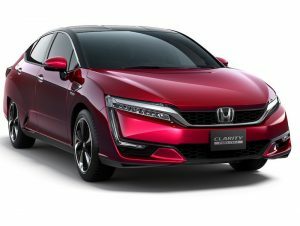 Although GM is yet to launch a fuel cell car, the 2017 Honda Clarity went on sale in the US last month following its spring 2016 launch in Japan. The two carmakers are investing $85m (£67.8m) each in the joint venture, which will be named Fuel Cell System Manufacturing LLC and will operate within GM’s existing battery pack manufacturing facility site in Brownstown, Michigan, south of Detroit. Honda and GM have been collaborating since 2013 on a more affordable commercial solution for fuel cell and hydrogen storage systems.